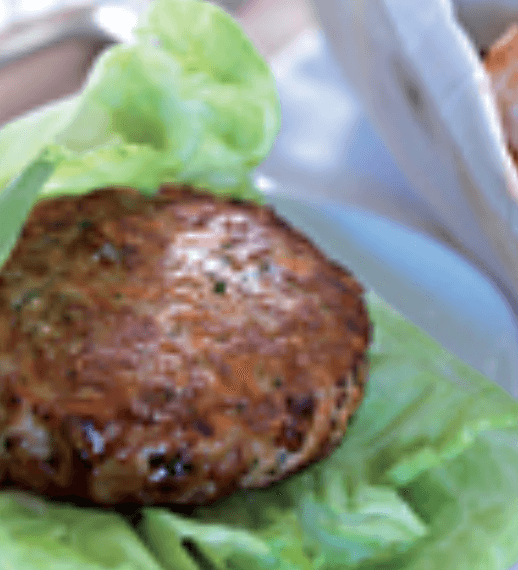 This recipe is great for summers on the grill with a nice salad! Season the turkey meat with salt and pepper and mix in the bulgur, egg, onion and cilantro. Wet your hand and shape the turkey meat into patties. Grill them and serve with a nice leafy salad!